March 24th in WordPress Themes by Wordpress Jedi . Many of us are passionate about taking care of our pets. It is very natural to see pet lovers start a business promoting pet products or offering pet-related services. You are going to need a good looking website to leave a good first impression on your visitors. 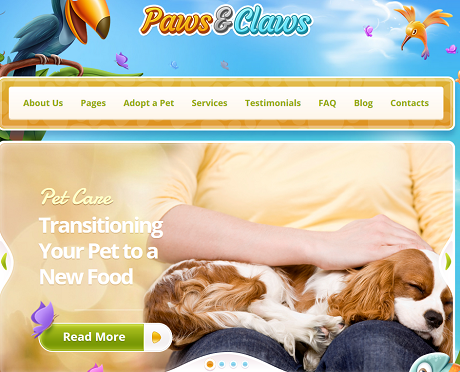 Paws & Claws happens to be a premium theme for pet clinic websites. It has a responsive, retina ready design and can be customized fairly easily. Paws & Claws has 2 different sliders for you to choose from. You also get a built-in events calendar to promote your upcoming events. Paws & Claws has built-in page layouts for appointments, services, and testimonials. 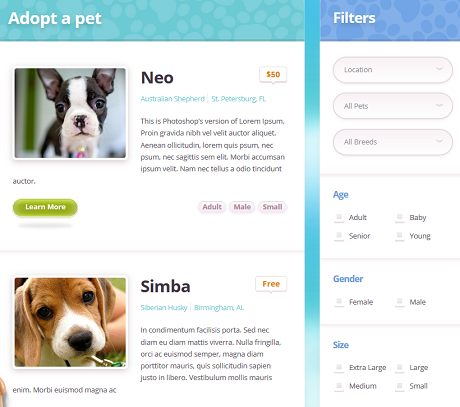 It also has a pet adoption page, which allows you to showcase pets that are available for adoption. You also get a mega menu system, shortcodes, and an appointment module. Paws & Claws is powered by the Fuse framework. You will be able to customize its features from the back-end. It is also ready to be translated. This is a premium theme by an Elite Author.